You had two babies two years in a row and realized that taking a couple years off from work would be the best thing for all of you. You figured that after six months or so, once you had an established schedule, it would be easier to take on a little independent contractor work to do at home. That first summer with two little ones, you set up the back deck like a preschool and while you were hustling around that late spring afternoon, you got a sunburn on your nose and arms. Hmm. You knew you wanted to keep toddlers cool and safe and didn’t want your children to have that much UV sun exposure, so you did a little research on the computer and found Eclipse, and then you found your local dealer. It’s amazing how much you can do to keep toddlers occupied in a small space. You were even able to fit their turtle pool. With only a couple inches of water the first year, but now you sit on the deck at the table and work on your computer while they splash around. Soon you’ll all have lunch together outside, making for a quick and easy clean up, then naps. 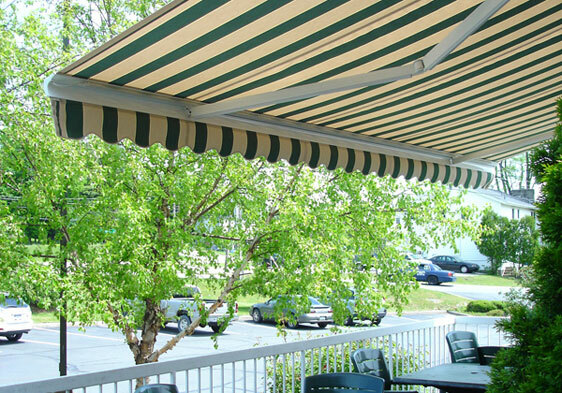 Even though the kids are asleep, you continue to work outside in the fresh air with the shade of your awning. Last month a neighbor a few houses away decided to open a neighborhood summer playgroup. You offered to help and insisted on taking her to your Eclipse Shading Systems® dealership so she could purchase retractable awnings to keep the outdoor area shaded and the indoor space cooler. You also shared with her how your summer energy bills have been reduced by having shading outdoors because it keeps the heat from radiating through the windows and walls to the indoors. Only the best awnings in the world are good enough for your young family. That’s why you purchased an Eclipse retractable awning.